Boyd Jones performs extensively throughout the United States on both organ and harpsichord in addition to his duties as university organist and John E. and Aliese Price Professor of Organ. Boyd Jones performs extensively throughout the United States on both organ and harpsichord in addition to his duties as university organist and John E. and Aliese Price Professor of Organ. Recent seasons have included performances for two regional conventions of the American Guild of Organists, the national convention of The Organ Historical Society, a conclave of the Southeastern Historical Keyboard Society and the national convention of the Music Teachers National Association. Many recitals have been performed for colleges and universities, AGO chapters and churches from California to Maine to Florida. Engagements abroad have included recitals in Japan, and in 2007 a series of recitals in Bulgaria. Additionally, he has performed frequently as both organ and harpsichord soloist, and as a continuo player with several prominent orchestras. Author of articles for numerous publications, Jones was the American correspondent for the English journal Choir and Organ, providing articles on American organ builders in each issue for three years. 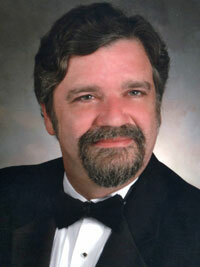 He has also served as consultant for several significant organ projects. Jones holds a bachelor of music degree from Stetson University, where his organ teacher was Paul Jenkins, and master of music, master of musical arts and doctor of musical arts from Yale University, where he studied organ with Charles Krigbaum and harpsichord with Richard Rephann. He served as assistant university organist and graduate teaching assistant during his time at Yale University. He has also studied with Harald Vogel at the North German Organ Academy and with Robert Noehren. Jones has won both national and international organ performance competitions. He has recorded for Arkay Records, Clear Note Records, and Navona Records, and is represented by WindWerk Artists. His articles have been published in The American Organist, the British journal Choir and Organ, The Journal of the American Liszt Society and others.